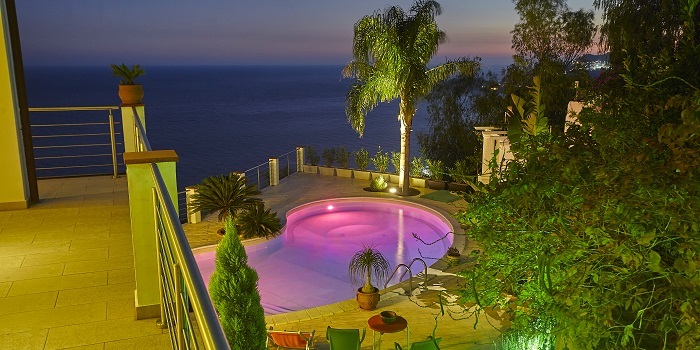 Even when the Tyrrhenian sea is just steps away, staying in a villa with a private pool is the ultimate holiday indulgence. Ideal for a few early morning laps, a cooling dip in between sunbathing sessions or a quick plunge after an intensive day of sightseeing, the pool is guaranteed to be the focal point of your holiday in Sicily. During the heat of the summer, a villa with private pool is the place where the kids will while away the hours splashing around and playing, drawn out only by the lure of a poolside snack or meal. Luckily, all but a few of our villas have pools so there is plenty to choose from but these are a few of our most inviting pools. The dream holiday villa for large groups, Le Case di Tindari is a cluster of farmhouses and apartments for up to 21 people, in a rural setting in north east Sicily. 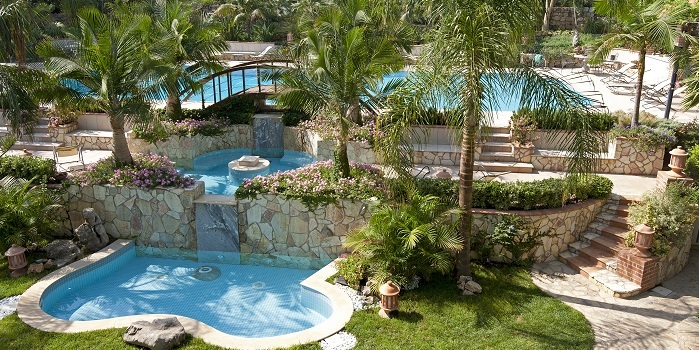 The highlight of the property is its 18m long gorgeous infinity pool with gently graded steps and spacious sun terraces. 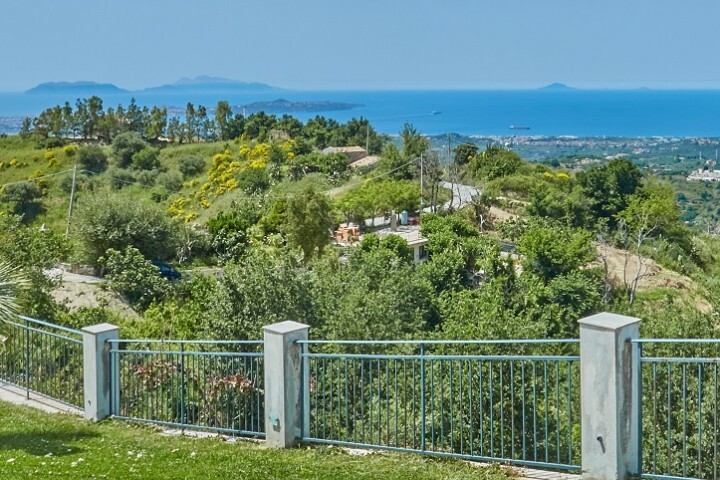 Chill out in the water and gaze out across dazzling views of the Tyrrhenian coast and the Santuario di Tindari. 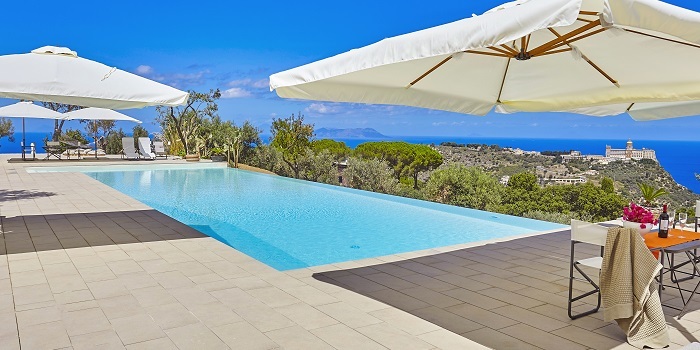 If you are looking for a touch of luxury in the Island Tyrrhenian sea, look no further than Villa Costanza, a 4-bedroom villa tucked up in the hills above the lively resort of Cefalù. The 16m pool has graded steps and a small shallow end but it is the fabulous terraces and poolside pergolas that make this pool so special. Patios are scattered with indulgent double width sun beds and lounge style coffee tables and chairs, and a jacuzzi is hidden away in a leafy corner overlooking the hills. Hovering at the far end of a curving panoramic terrace, Villa Eloi’s pool is almost as enticing as its extraordinary sweeping views, across Mediterranean vegetation and along the coastline. The private pool is surrounded by decking and overlooked by a fabulous terrace, furnished with a vast L-shaped sofa and dining table and chairs. Situated close to Taormina on Sicily’s east coast, the other highlight of the 4-bedroom villa is a magnificent master bedroom which has floor-to-ceiling windows and direct access on to a vast wraparound terrace. Ensure maximum bragging rights by checking into Villa Cecilia Trabia where there is not just one, but a grand total of three pools for its 22 guests. 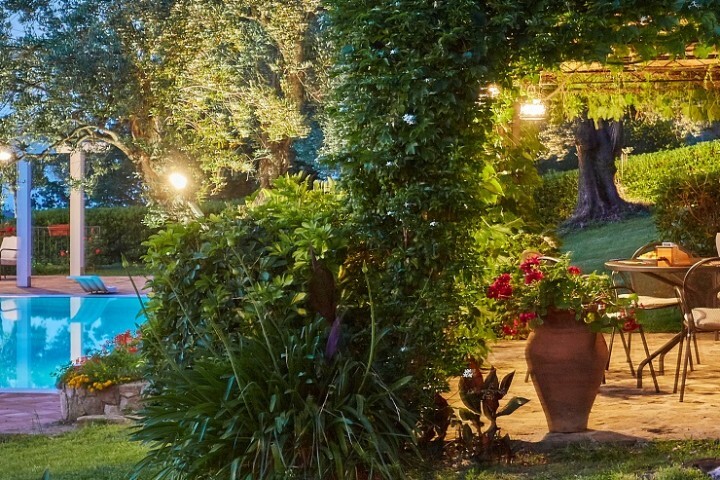 A villa with 20m of swimming pool with marked lanes is guaranteed to delight serious swimmers but there is also a good-sized children’s pool and a dreamy Jacuzzi, all set on tiered levels amidst the estate’s flower-filled gardens. 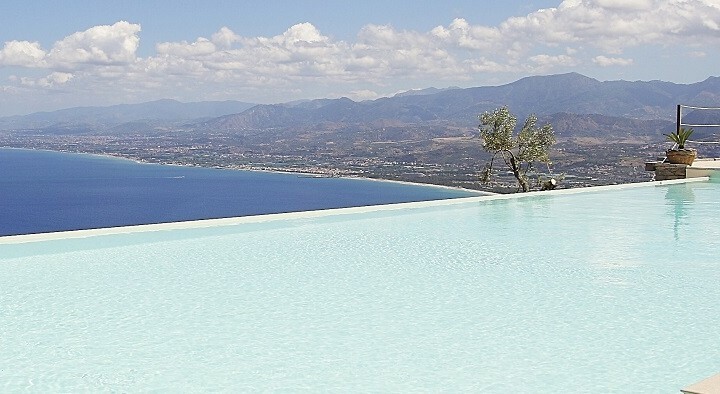 Villa Cecilia Trabia is situated on the seafront at Trabia, between Palermo and Cefalù.